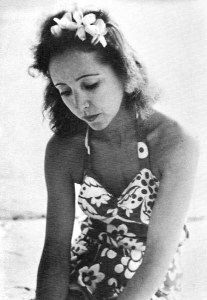 This entry was posted in Uncategorized and tagged Anaïs Nin, ecstacy, joy, letters, love, pain, quote, vintage. So true. A great quote to memorize. 🙂 Happy Week to you, C !!!! A great writer who understood what it meant to be alive. I listened to a recording of her, talking about her diaries, not long ago. She was a mystical and free spirit, a woman before her time. Perhaps… but only if in doing so you are able to not complain to or boast others about such ‘joy’. I think some famous folks might get some quotes out of context. Maybe there was more to her thought? Though most experiences in life cause us some questionable emotions…Say like giving birth there is pain, but afterwards there is much joy. And really so soon that particular pain – I wouldn’t call it mastered that labor…. is forgotten especially when you hold that little bundle of joy. I think pain and joy need to be separated by a large margin. But that’s just me.